Great way to get around and visit the best sites. No issue of late busses. 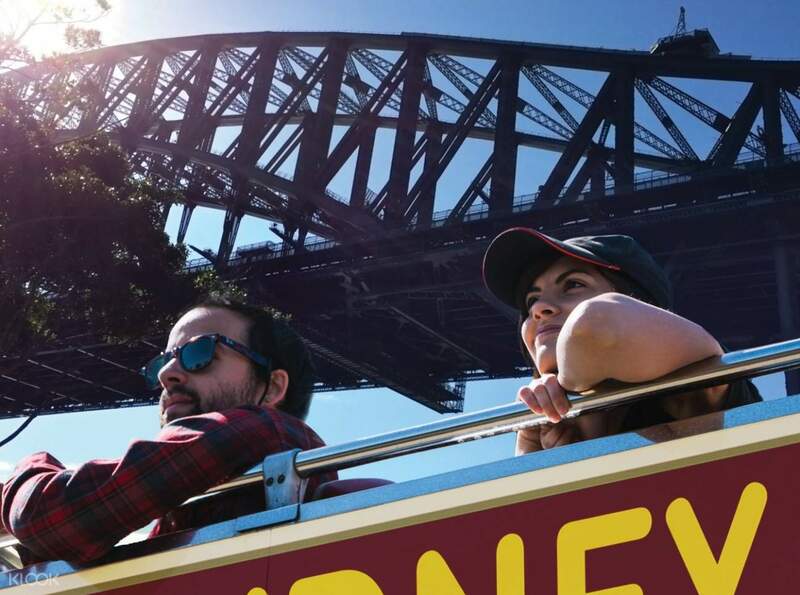 From the bays to the buildings, you can explore the best sights of Sydney on this tour! Hop off any of the stops and go exploring, and hop back onto the next bus when you're done! the tour was good and since it goes around the city you can simply wait for the stop near your hotel, show the voucher directly to the bus driver to redeem the ticket. the tour was good and since it goes around the city you can simply wait for the stop near your hotel, show the voucher directly to the bus driver to redeem the ticket. Great way to get your bearings and familiarise yourself with the city. There are plenty of maps to pick up while on board plus they give you headphones to listen to the commentary while going along. Drivers are also friendly. Would definitely recommend doing this. Great way to get your bearings and familiarise yourself with the city. There are plenty of maps to pick up while on board plus they give you headphones to listen to the commentary while going along. Drivers are also friendly. Would definitely recommend doing this. Easy access to all the tourist spots for first timer and great value of money with the hopping up and down to whichever that you wish to visit. Otherwise, you can also sit thru the whole journey to enjoy the beauty of Sydney. Easy access to all the tourist spots for first timer and great value of money with the hopping up and down to whichever that you wish to visit. Otherwise, you can also sit thru the whole journey to enjoy the beauty of Sydney. Klook has never been made easy and affordable. You get hassle-free booking with lesser price but the same great experience of the tour. Great deal! Klook has never been made easy and affordable. You get hassle-free booking with lesser price but the same great experience of the tour. Great deal! 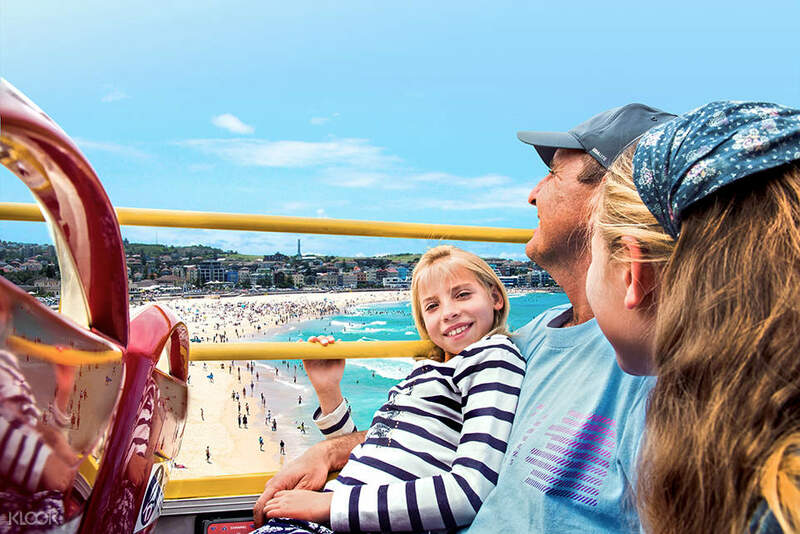 Great option in touring around the city and going to Bondi Beach. Got the premier tour and includes walking tour at T he Rocks. 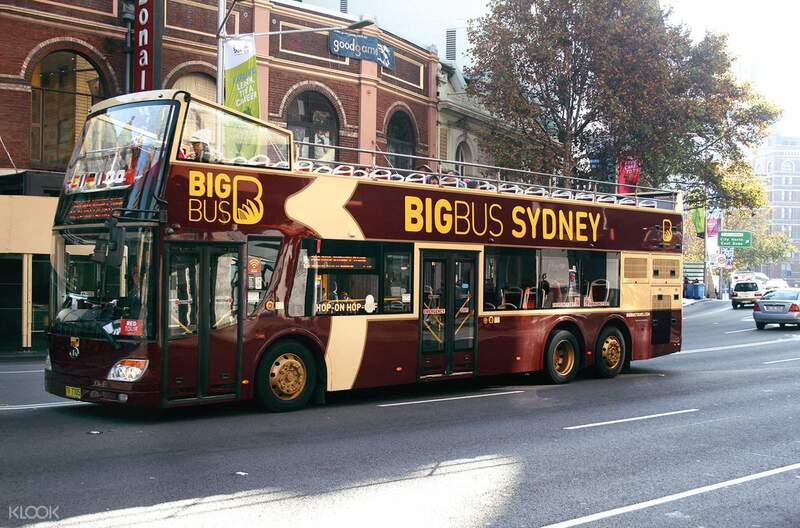 BiG Bus Tours has an app in tracking the locations of their buses but sometimes not realtime. Great option in touring around the city and going to Bondi Beach. Got the premier tour and includes walking tour at T he Rocks. BiG Bus Tours has an app in tracking the locations of their buses but sometimes not realtime. Very good experience, although a bus broke on our way back to the city, they gave us extra 4 hrs ride. very convenient as you only need to let the staff scan the voucher and you can already have your ticket. Very good experience, although a bus broke on our way back to the city, they gave us extra 4 hrs ride. very convenient as you only need to let the staff scan the voucher and you can already have your ticket. No hassle at all. Just go to a bus stop show your ticket and you can ride all you want going to every tourist attractions in sydney.. No hassle at all. 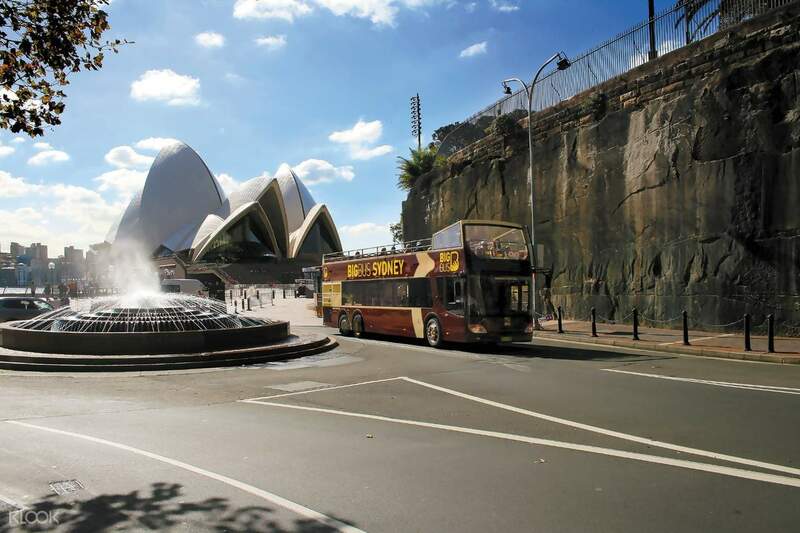 Just go to a bus stop show your ticket and you can ride all you want going to every tourist attractions in sydney..
Two day pass is good to explore Sydney. They have two lines. So you can take the first day for the city and second day to the Bondi beach. It’s really convenient and it’s great when you travel with kids . Two day pass is good to explore Sydney. They have two lines. So you can take the first day for the city and second day to the Bondi beach. It’s really convenient and it’s great when you travel with kids .